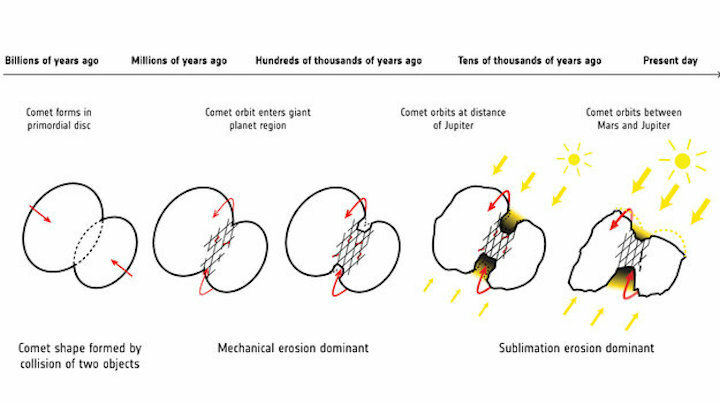 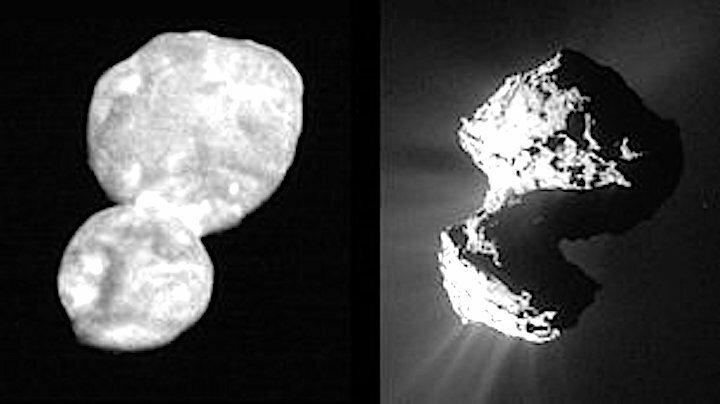 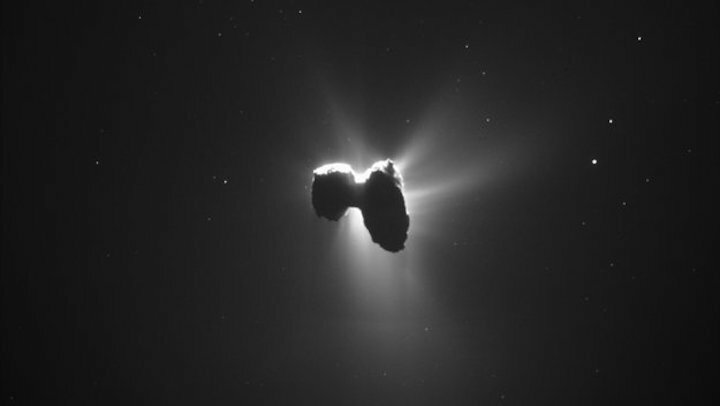 After more than 12 years in space, and two years following Comet 67P/Churyumov–Gerasimenko as they orbited the Sun, Rosetta’s historic mission concluded on 30 September with the spacecraft descending onto the comet in a region hosting several ancient pits. 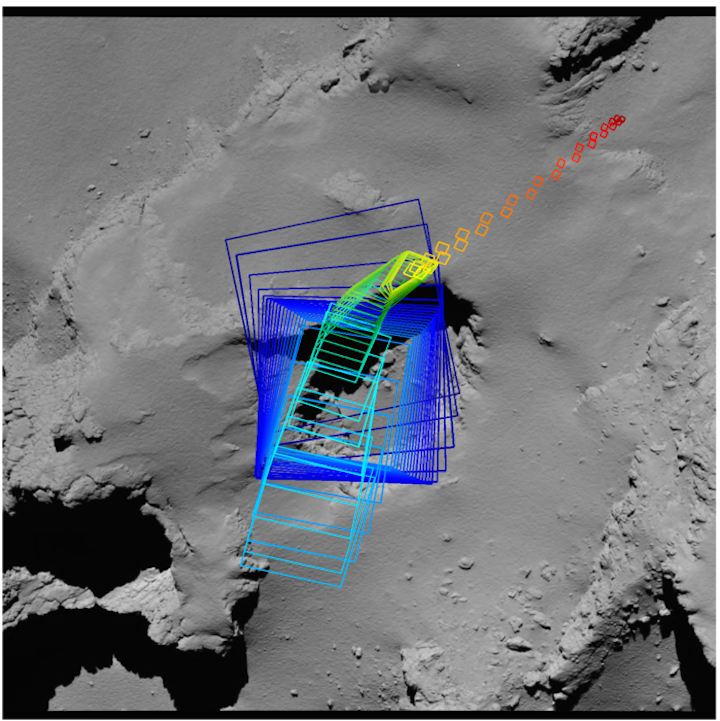 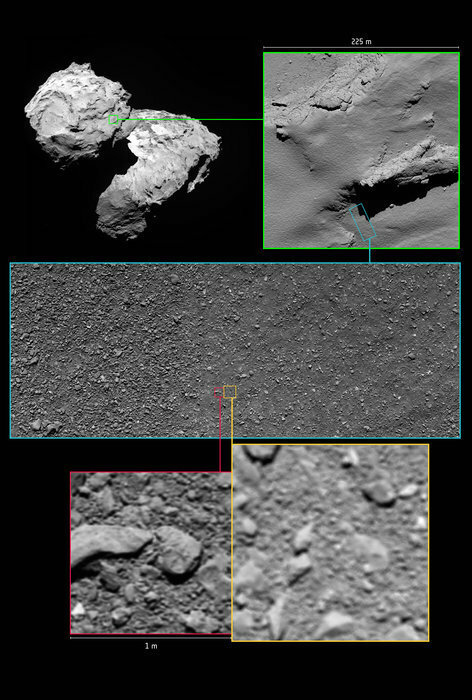 Imaging ‘footprints’ of Rosetta’s OSIRIS camera during the descent to the comet’s surface. 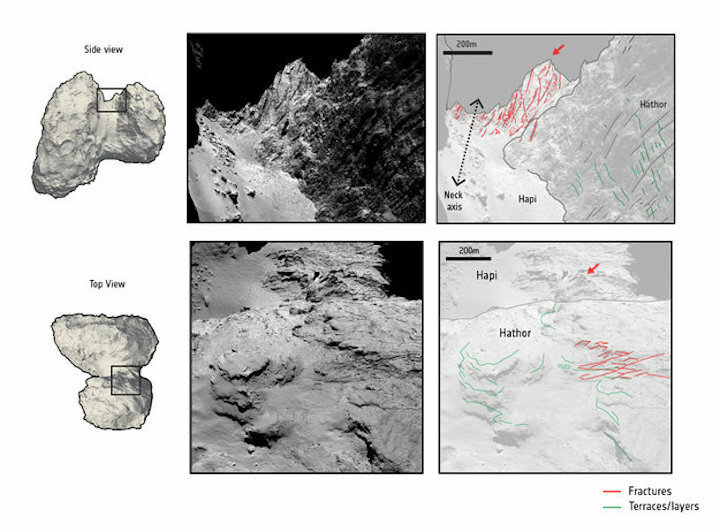 A primary focus was the pit named Deir el-Medina, as indicated by the number of footprints indicated in blue. 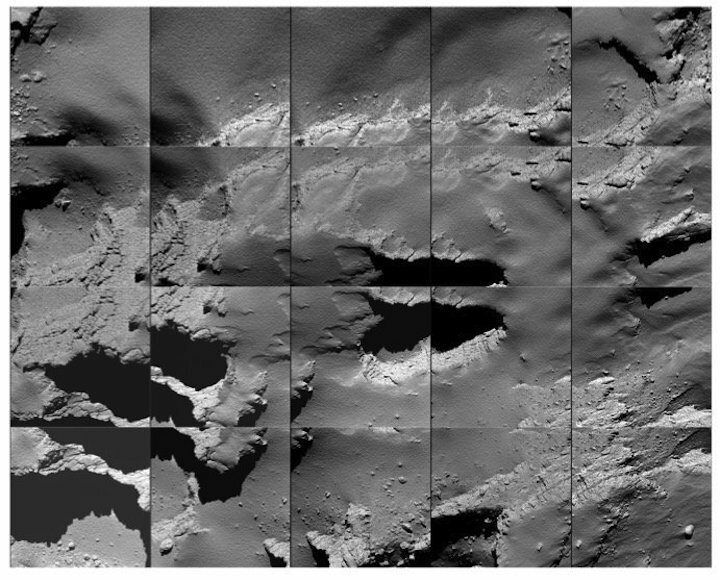 The trail of orange and red squares reflect the change in pointing of the camera towards the impact site, subsequently named Sais. 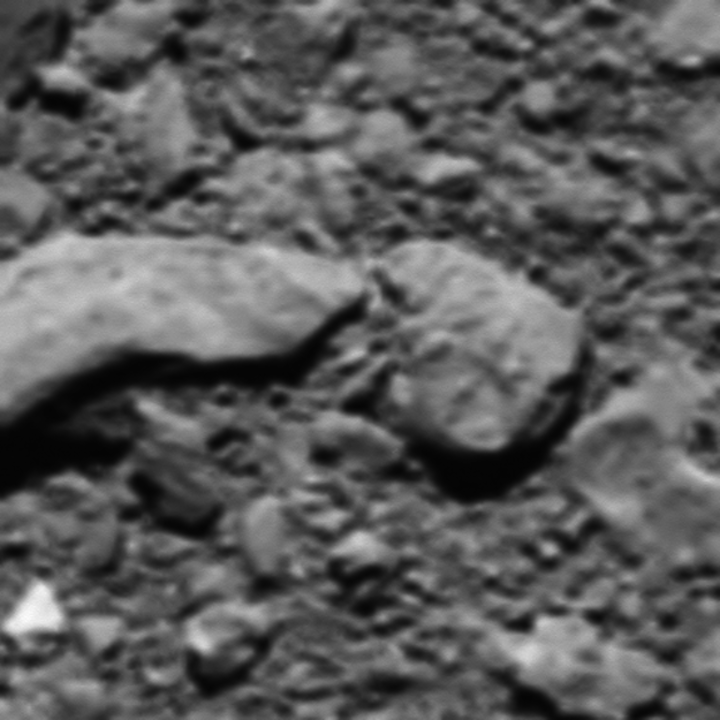 The final image was acquired at about 20 m above the surface, and the touchdown point was only 33 m from the centre of the predicted landing ellipse.